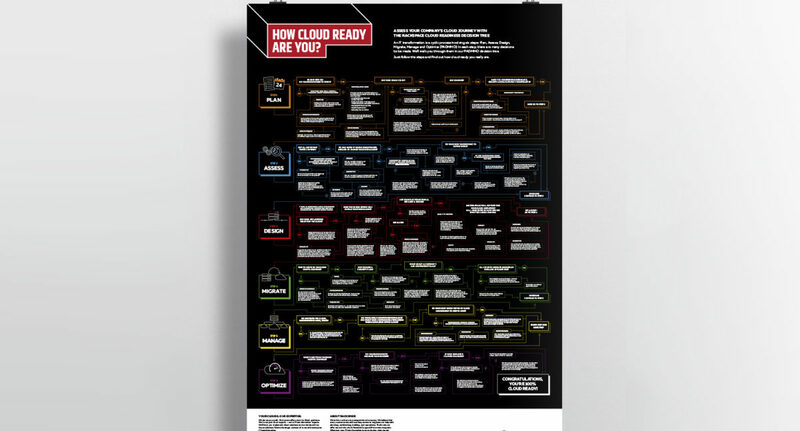 ABM: How cloud ready are you? Organizations today can’t escape working with the cloud. 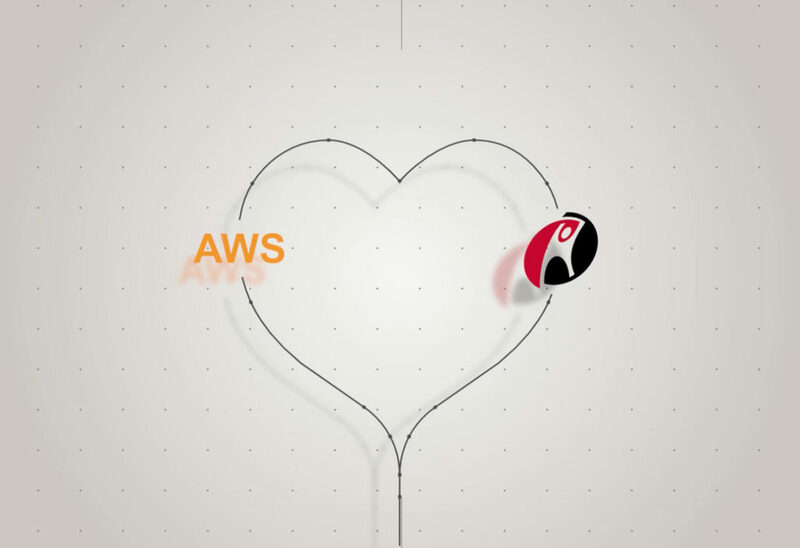 But moving to the cloud isn’t a one-size-fits-all project. 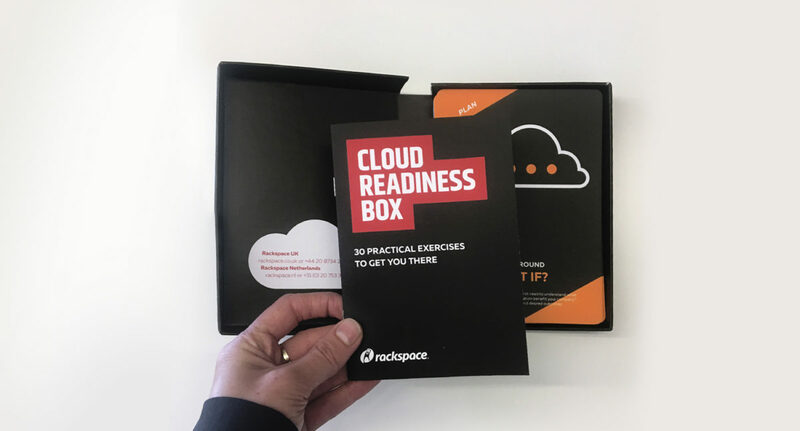 Where do you start, what are the steps and how do you use all the opportunities that cloud offers? Clients and prospects are curious to find out where they stand when it comes to Digital Transformation. 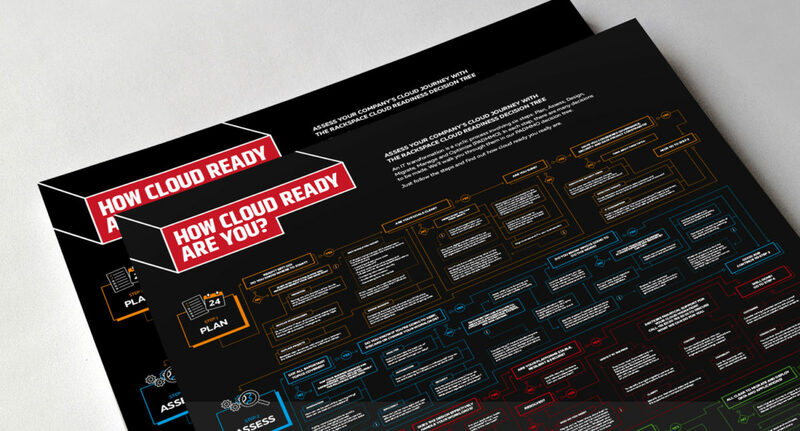 We designed a Cloud-Readiness decision tree poster and card game to start the conversation and determine the next steps. 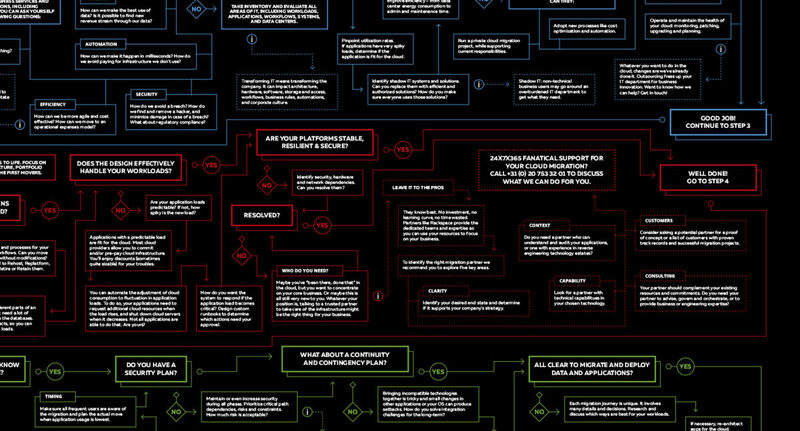 A decision tree to help companies assess their cloud-readiness. 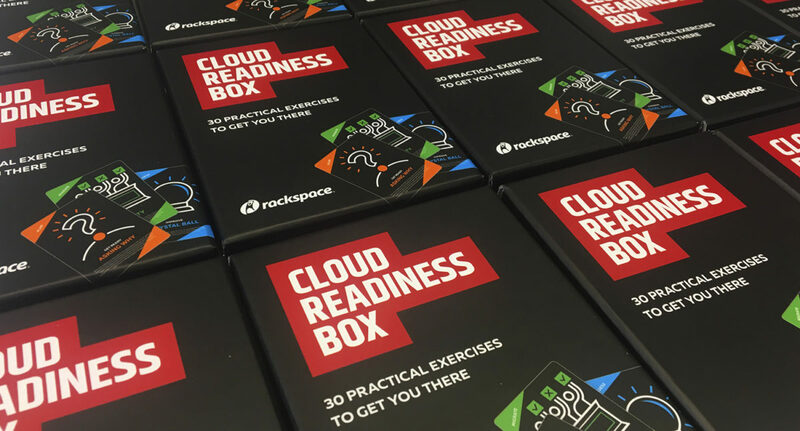 How far are they on the journey through the six stages of becoming 100% cloud ready? 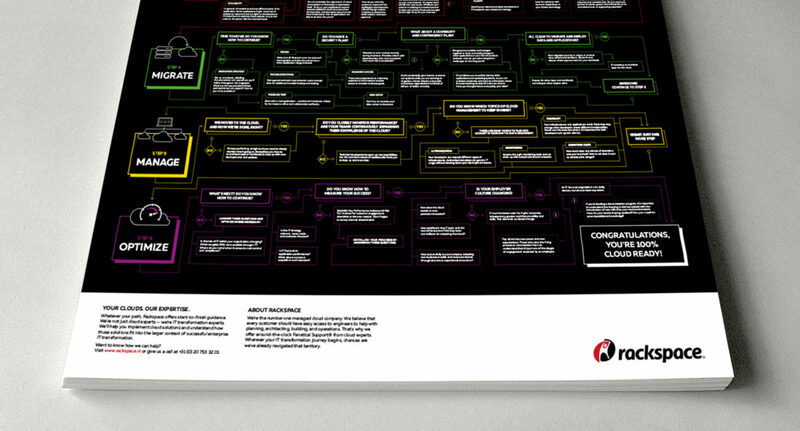 The A0 poster will be handed or sent to clients and prospects. 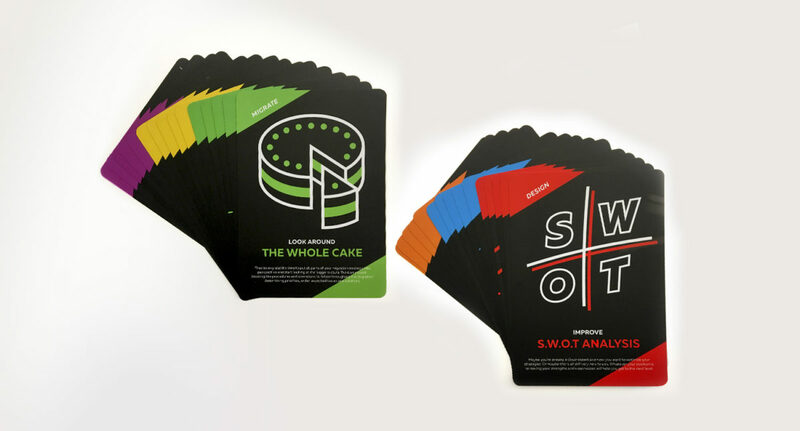 It's a reliable tool to start the conversation - within and outside the company. 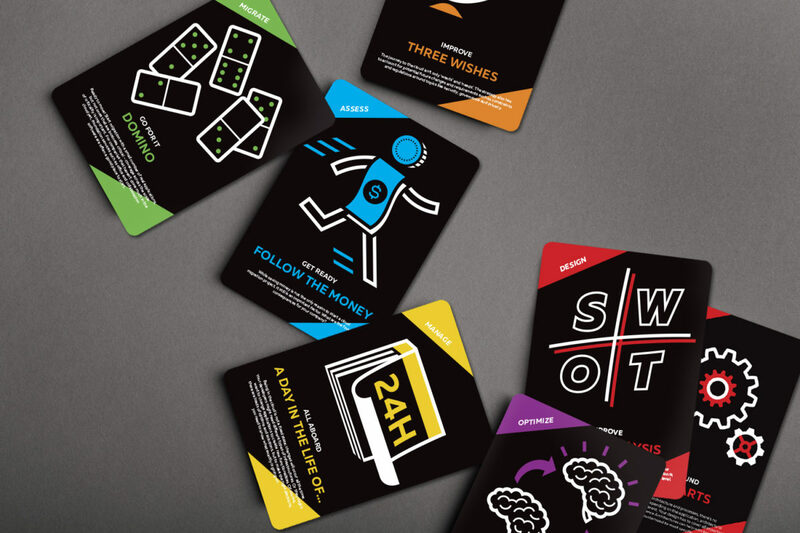 This card game contains 30 practical exercises to boost (and evaluate) cloud readiness. 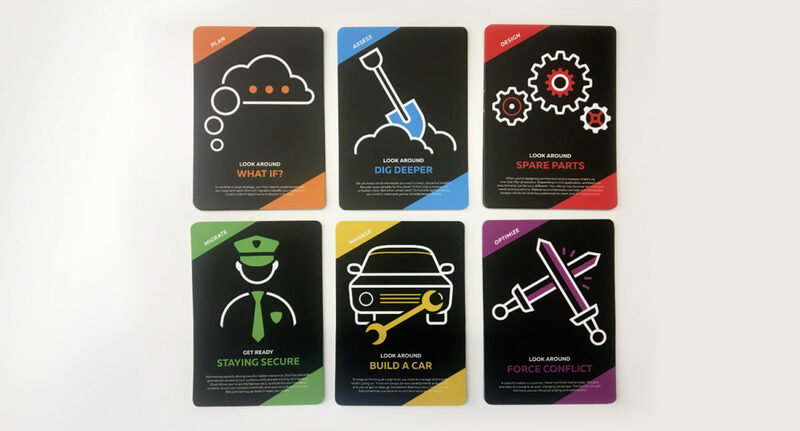 The cards follow the six stages of cloud readiness, and can be played by different teams within a company. 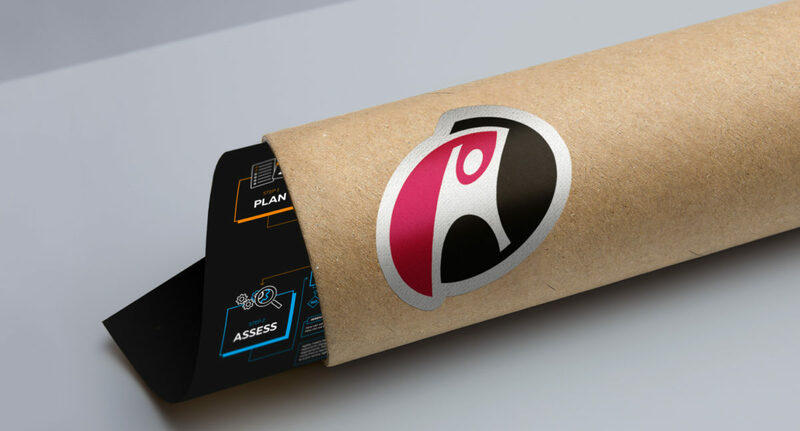 The box comes with instructions, background information and Rackspace contact details. Want to know more about Account Based Marketing?